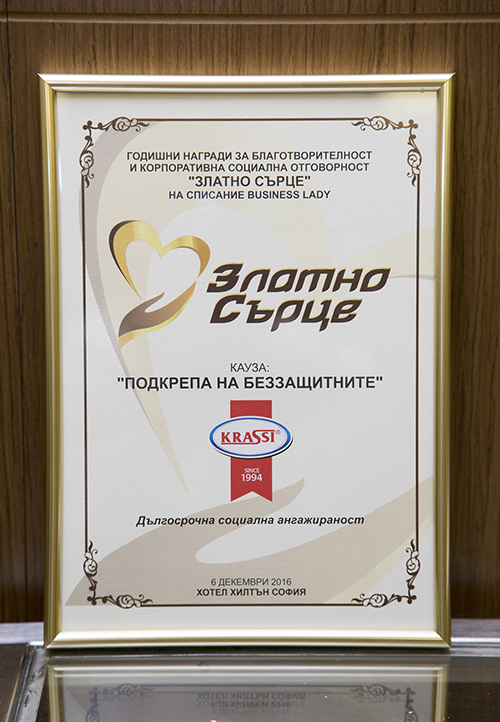 Krasi Mayonnaise Factory has received a distinction in the third Annual charity and corporate social responsibility awards. The leader in the mayonnaise market in the country earned merited recognition in the “Support for the unprotected” category for its long efforts in support of people with disabilities and the socially disadvantaged people, and for its overall activity for the prevention of social exclusion of children and adults with various disabilities. This year, Krasi Mayonnaise Factory once more has supported “The World is for All” festival with 656 performers, representatives of nearly 40 associations of people with disabilities from all over the country. Upon receipt of the award, Daniela Avdzhieva, the manager of Krasi Mayonnaise Factory, shared that helping people in need is a mission which is worth the effort and if we all open our hearts for the unprotected, we will make the world a better place for all of us. The Golden Heart awards aim to gain publicity for the efforts of companies, NGOs, institutions and individuals supporting various causes with social and publically significant character, thus setting an example and encouraging more companies and individuals to become involved in similar initiatives. 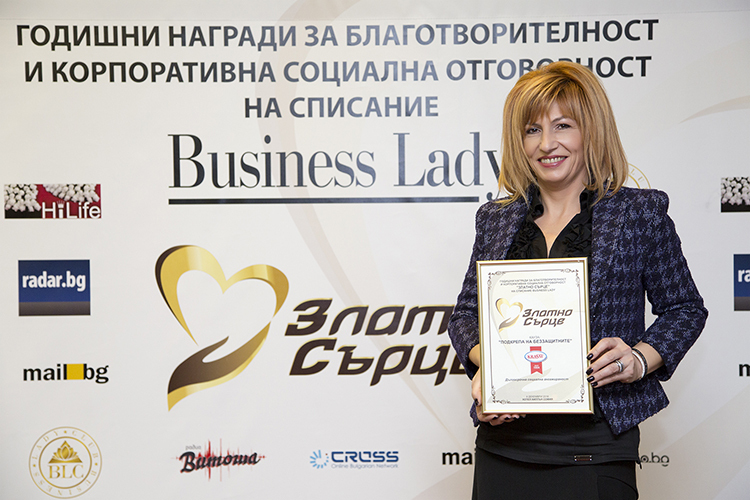 A total of nineteen charity projects and social initiatives in 11 different causes received official recognition in the third edition of the Annual charity and corporate social responsibility awards of the Business Lady magazine.